Are You Spamming Your Guests? Remember when you used to enjoy getting email? Before the advent of email marketing, it was practically a guarantee that if you got an email, it was from someone you knew and wanted to hear from. But by the late 90s, email use had skyrocketed, and there was suddenly a new way for marketers to reach potential customers. The result? You started getting emails from EVERYONE. It was no longer an enjoyable experience. The advent of SPAM filters and software helped, but the damage was done. We’ll forever view our inbox with a dose of suspicion every morning. This is the challenge hotel marketers face today. Email is a highly effective marketing tool for businesses of many kinds, and being tagged as an email spammer is a huge headache. It’s getting more difficult to get into inboxes, as the battle between spammers and SPAM filters rages on. 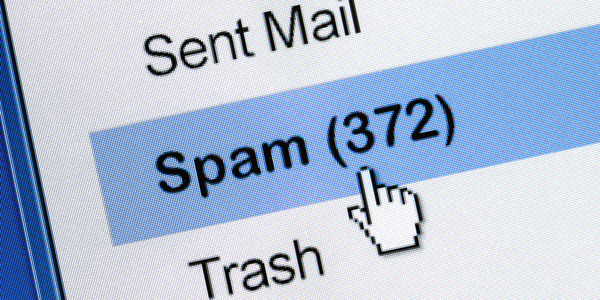 Almost one in four commercial emails doesn’t even make it to the inbox to begin with, ending up in spam folders or blocked altogether, according to a report by Return Path, a New York email deliverability monitoring firm. But, the news isn’t all bad for hotel marketers. You can significantly improve your odds of reaching customers and prospects by taking the right steps. Many marketers have fallen into the trap of using purchased lists, which typically include SPAM traps and email addresses of people who haven’t opted in to receive messages. Avoid buying lists. These people aren’t connected with your hotel in any way, and are more likely to mark you as SPAM than they are to book with you. Once you get relegated to the SPAM folder, it can be really hard to get out. Instead, use ONLY emails of guests or prospective guests who have opted in to communications. Have them specify the types of email they want to receive. For example, if they agree to a newsletter but not marketing messages, honor the request, or risk dinging your email marketing reputation. You should also consider segmenting your list by various personal details to make it easier to send relevant messages. Spammy content triggers SPAM filters only 17% of the time, according to the same Return Path report. But if your hotel is new to email marketing, or too small to have built a reputation, that rate could be higher. Moreover, annoying and irrelevant marketing messages can lead some guests to click the “report spam” button. Avoid trouble by targeting messages, clearly identifying yourself in the “from” address, and crafting an engaging subject line. Is this specific message going to be valued by this specific guest? You need to think twice about the relevancy of every message you send. If your message isn’t relevant to the guest, it’s more likely to get marked as SPAM. 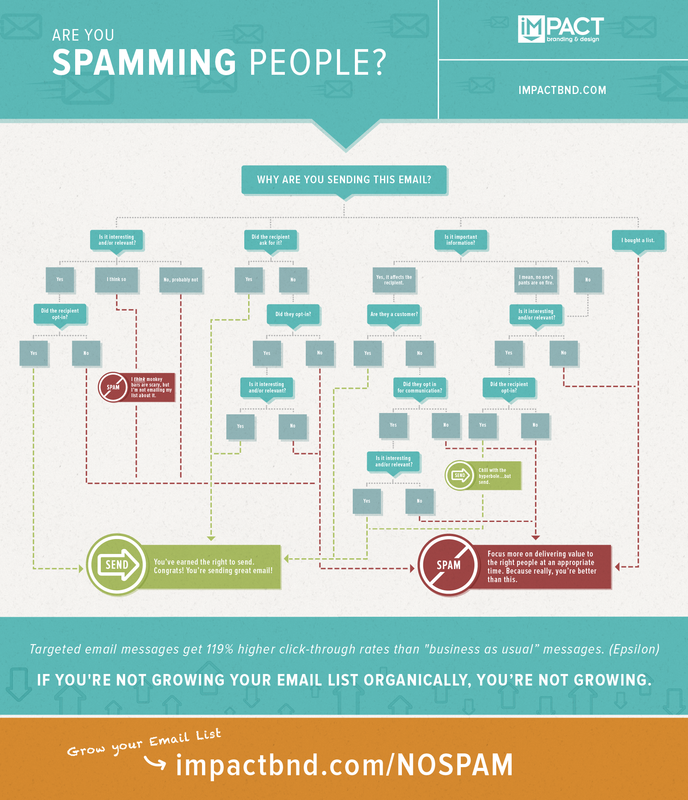 John Bonini and the team at IMPACT, a marketing and branding strategy company, have put together a flow-chart infographic that can help you evaluate your marketing emails and decide whether your message is worth sending. When you’re a small hotel that doesn’t send much email (say, more than 30,000 messages a month), it can be hard to build a reputation with internet service providers and get past SPAM filters. Using marketing tools can boost your sender score, help you manage your lists and otherwise stay on the straight and narrow.